Family Travel Blog : How Do You Compromise Between Hotels And Camping? How Do You Compromise Between Hotels And Camping? When families set off on holiday together there can be differing views of what is considered an ‘ideal’ holiday. This can be the case whether you’re travelling for your annual two-week vacation or if you’ve set off on a longer travel adventure with the family. Even couples that head off for a weekend together can have very different opinions on the best accommodation. If you find yourself in the U.K. and discussing how one person wants to camp and another wants a fully serviced hotel, you might try Cornwall holidays in Looe and Polperro as a fabulous compromise. Caravan holidays are an awesome way to give everyone a little of what they like. Those yearning for a comfortable stay can expect everything they need to be on hand. Fully furnished caravans with digital TV’s, and DVD players are the norm. You won’t need to cart everything with you from home like you would for a full blown camping trip, as all your cutlery, crockery and linen are included too. The beauty of this type of holiday is that you get all the social interaction of a camping holiday without having to sleep outside in the elements! You’ll have access to full cooking facilities and comfortable beds without having to cook outside or spend time putting up your tent. Sea views are often possible depending on where you choose to rent a caravan and you can sleep up to 8 people. Once again, you avoid the need to bring all your own bedding like you would if you had set off to go camping. In some caravans you’ll even be given the option to bring the family pet along. What a great way to save on holiday expenses. Boarding kennels for pets can really add to the cost of your time away. Caravan holidays can often provide facilities like a swimming pool, a recreation hall and a close restaurant too. That means if you don’t want to cook each night you can stroll down to the restaurant and eat your fill right there. Kid’s clubs open up during school holidays and local penny arcades are a fun way to turn back the clock a little and give your kids a glimpse of the past. 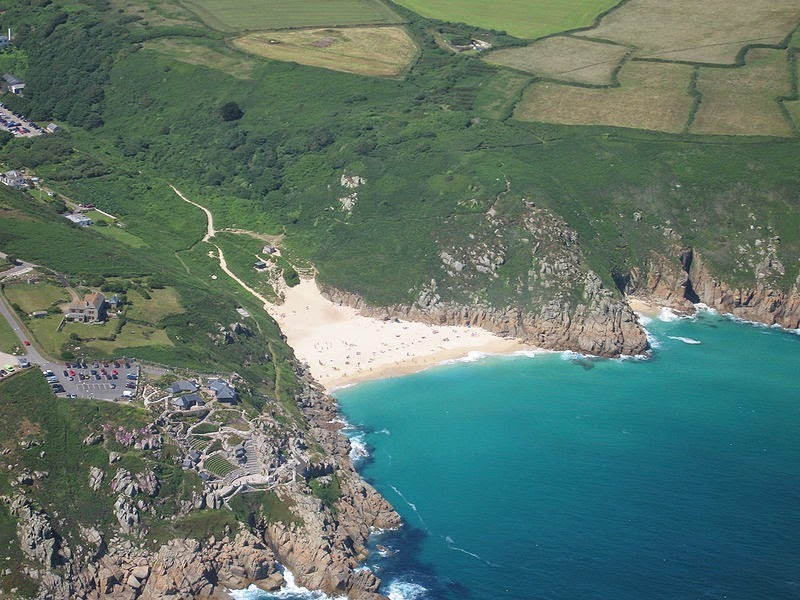 Cornwall offers plenty of sights to keep you busy while you’re visiting. There are several local festivals and shows that you can treat the family to. There’s an aquarium, and a zoo and you can rent bicycles or visit an adventure park. With quite an array of museums to visit no family holiday in Cornwall has any reason to be boring. And if you really can’t shake that urge to go camping, you can always book yourself a site, pitch your tent and take full advantage of all the facilities on offer. What better way to have a flexible and fun holiday than to plan to have it in a caravan?